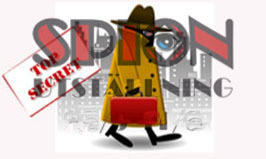 There are many who sells video surveillance today. However, we are different and have taken it a step further as we develop most of our stuff ourselves, either in whole or in part. As you can see in the menu to the left, we have separated the "regular" video surveillance systems (CCTV) and the micro-products (Covert Systems). 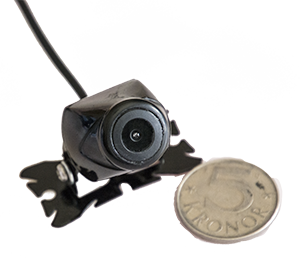 Our micro-systems/hidden systems belongs to the smallest in the world, from small mini-cameras, micro cameras to pure spy cameras. From small compact recorder to micro DVR equipment that would have made Mr. Q in James Bond 007 impressed. 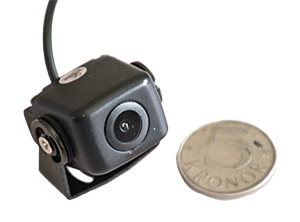 When other vendors boast of "the world's smallest camcorder" or "the worlds smallest spy camera" or "the worlds smallest recorders", these are usually giants in comparison. Welcome to look around, and see how small "the world's smallest ..." in reality can be. 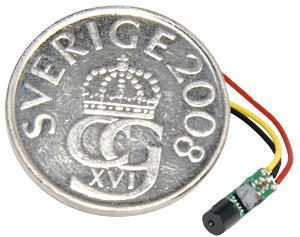 We are proud over being entrusted to distribute Peak Electronics component tester in Sweden. By being available to offer Peak Electronics instruments, we have today a complete range of component testers that can make detailed measurements on everything from passive components like resistors, capacitors, inductors/coils, etc to active semiconductors like transistors, LED, Zener diodes, Schottky diodes, IBGT, Thyristors, Diacs, Triacs, Linear voltage regulators, etc, etc. Besides all other functions with for example the DCA75, it offers totally unique functionality like curve-tracers and updating of the internal software via USB. 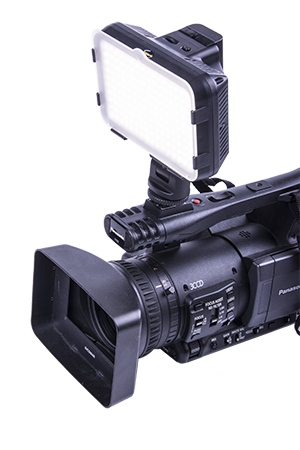 After listening to our customer and investigated the market, we found room for improvement for the Video/DSLR filmer, as well as for studio work, in regards for illumination. With our many years in developing LED-lights, we have designed a series of lights that work both inside the studio as well as "On-Location". Take a look at our ACQ-VIDLED... and you will find our lights that either have daylight colour temperature of 5500K or continuosly variable colour temperature between 3200 ~ 5500 K.
The daylight coloured lihgts ends with CW (Cold White) and the variable colour temperature ends with DW (Dual White). 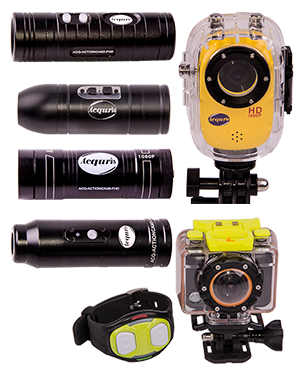 The characteristics with our lights are that they are supplied complete (included battery and charger) and are exceptionally powerful for there size. Since we over the years have accumulated a number of measuring instruments for our internal needs, we have discovered that more than we want a quality measuring instrument for a good price. We have therefore partly developed our own test instrument but also signed contracts with developers of quality measuring instruments. About two years ago, we released a brand new type of measuring instruments to the market, the CCTV Tester. Previously, you had been obliged to either build something yourself, or simply carry around an extra monitor and a power supply. When we came up with this type of test instruments it was in itself a revolution. 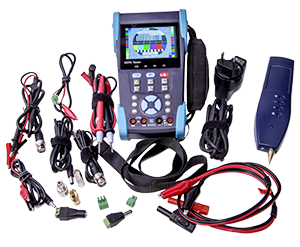 Instead of dragging around with a bunch of different instruments, multimeters, cable testers, etc, you here got a compact "all-in-one" unit. 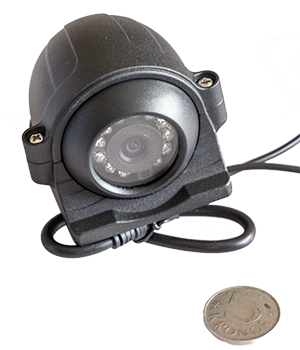 But times are changing and more and more are using IP cameras. Therefore, we have further developed the concept and is now releasing our new flagship, the ACQ-CCTV TST IPPOE1. As the name suggests, we have besides 12 volt drive to the camera, Multimeter, PTZ test, Microphone test, Cable Tester, Fiber Testers and so on in the last version, also built in several test functions for IP cameras and Power over Ethernet. We can for example both show the exact voltage (with 100mV accuracy) of each cable in a POE connection and also measure and show where a cable break or short circuit is in a cable with one meter accuracy. 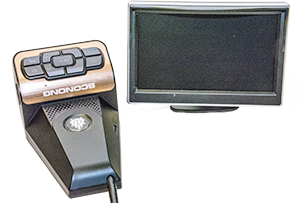 Also included is a complete video recorder with D1 resolution (720 x 576 pixels) that can record the video input signal. Its also possible to zoom in the video image, something that really make it easy to adjust the focus, etc. And all this in the same instrument! In total we have built in over 20 features and measurements in this compact instrument that can be kept either in the service case or even better in the included shoulder bag that both fit the instrument, charger and all accessories. Total weight with case, instrument and all accessories are only approx 1.5kg! 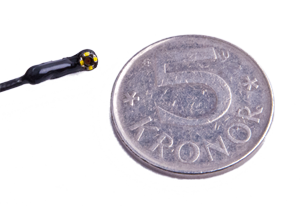 Acquris first again - Probably the Worlds smallest camera! 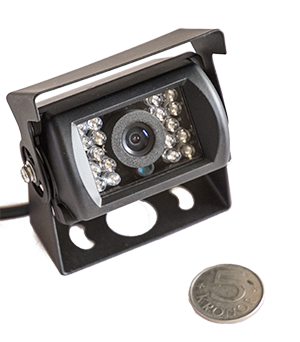 Acquris is proud to present, probably the Worlds smallest camera, only 3.29mm wide and 3.8 mm high, including lens and LED-lights. For one of our customers, we have managed to placed LEDs around the lens however these can be omitted in a surveillance solution. Through its incredible small dimensions, it is of cause impossible to also fit the necessary electronics so the signal processing electronics has been placed in a separate unit. However as a difference from earlier, we have with some "technical wizardry" managed to increase the distance to none less than 3 meters between the sensor and the DSP-unit. The DSP is also built into a small cover making it possible to hide the entire solutions nearly anywhere. The cable is also only a millimeter or so thick causing very little concern when built-in. Read more about this fantastic feat by clicking on the picture. One of our new flashlight with UV that allow an incredible amount of light in a small package. 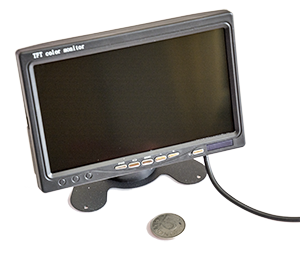 In our series of car cameras, we also offer this 7" monitor. High resolution and good light output make it work in cars, buses or any other vehicle. Dual inputs. 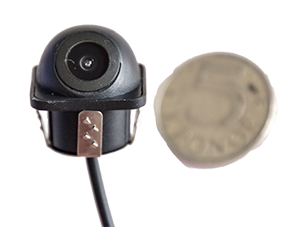 In our new series of brand new vehicle cameras we offer very good cameras to reasonable prices for both mounting inside as well as outside a vehicle. 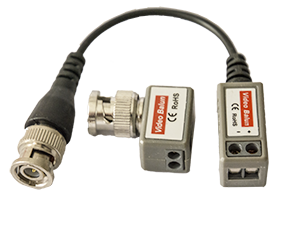 ACQ-CARCAM1 hold the IP68 ingress standard making possible to use both ways. The high resolution make good use of the wide image angle.